Don't know the difference between hand-lettering, brush lettering and calligraphy? Ready for some DIY help and inspiration? You're in the right place. You've been dying to learn brush lettering for your journal or upcoming wedding, but have no idea how to get started. 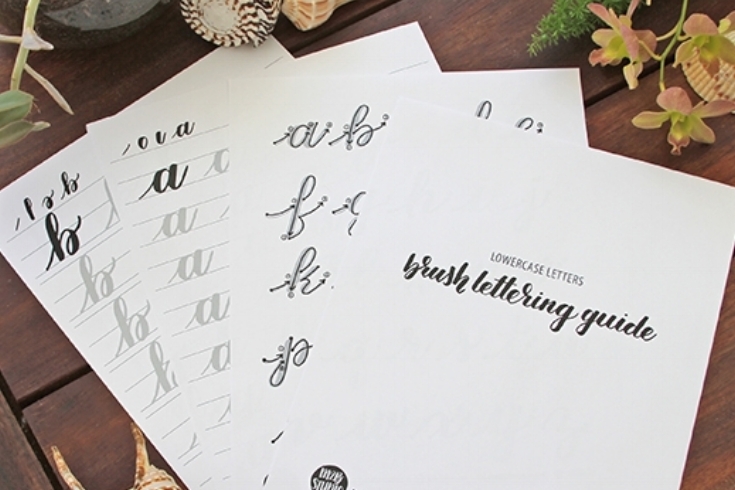 Get my free Basics Guide and you'll be on your way to gorgeous calligraphy. Your special day is coming up! Whether it's a birthday party or your wedding, you need some fancy writing to set the tone for your big event. Perfect. I can't wait to help. Packed with the best advice to get you started, whatever your crafty endeavor. Papercrafts, making magic happen with vinyl and handlettering how-to's. Check out the blog!